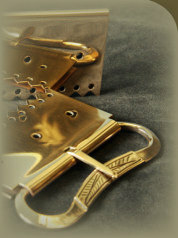 Hinged ring frame to which a fabric bag can be sewn, examples of finished bags can be seen in our gallery. Ring width 125mm. A short purse par with swivel eye. Length between finials 52mm, total length 75mm. A 15th century purse mount modelled after a detail in the Merode Altarpiece (attributed to the workshop of Robert Campin). 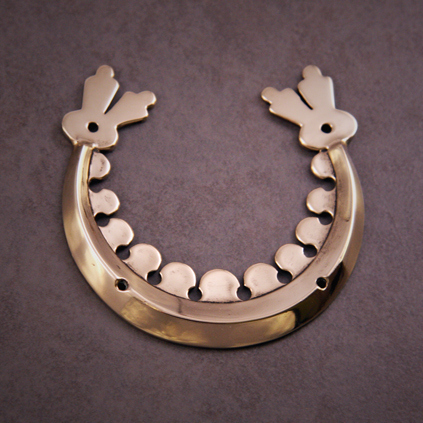 Mounts are provided with rivets for attachment.